“Cuba and the United States have quite a curious – in fact, unique status in international relations. There is no similar case of such a sustained assault by one power against another – in this case the greatest superpower against a poor, Third World country – for forty years of terror and economic warfare.” — Noam Chomsky. Rogue States: The Rule of Force in World Affairs. 2000. [C]homsky wrote that more than fourteen years ago. Nothing much has changed since then. The punitive US blockade of Cuba is still in place. In October 2014, for the 23rd successive year the UN General Assembly voted overwhelmingly in favour of the Cuban draft resolution calling for the lifting of the blockade. Unsurprisingly for the 23rd year the United States voted against the resolution. Perhaps more surprisingly for those uninformed about this annual event, will be the fact that the US casts its vote against Cuba in almost complete isolation. Since 1992 no more than three member states have ever voted with the US against the Cuban resolution, but until the late 1990s significant numbers abstained. There were, for example, 71 abstentions with 59 in favour in 1992. In recent years there have been only a handful of abstentions – between 1 and 3 – and since 2012 a consistent voting pattern has emerged: 188 for the Cuban resolution: 2 against: 3 abstentions. The only ally the US now has in its vindictive hostility towards Cuba is Israel. Even lickspittle lackeys such as Albania, Romania and Uzbekistan have deserted. Israel, however, has never faltered, standing steadfast with Goliath against David every year since 1992. 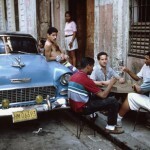 Cuban “balseros” have long provided grist for the American propaganda mills, as they have been portrayed as seeking “freedom” from Communist tyranny instead of being simply escapees from an economy short of consumer goods due to the American embargo and other sordid maneuvers designed to crush their society. If one needed an object lesson in imperial arrogance, hypocrisy and impunity one need look no further than the US treatment of Cuba since 1959. Actually, the bullying started much earlier than that – as far back as the beginning of the 20thcentury. But after the triumph of the revolution in 1959 US hostility became remorseless, aimed at the overthrow of the new government and restoration of the status quo ante. 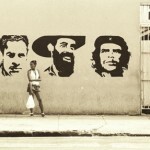 The US has never been reconciled to the Cuban revolution. Failure to destroy it by armed intervention and terrorist assassination plots against its leaders during the 1960s and 1970s did not lead to abandonment of the mission. US power has been used relentlessly to impose the most draconian economic blockade, to deny the country its sovereign right to trade freely, and to intimidate and penalise national states, commercial companies and individuals who are deemed to be in breach of the policy of extra-territorial sanctions imposed unilaterally by the US in the 1960s and still in force. The extraterritoriality underpinning the blockade violates the United Nations Charter, the Organization of American States and the fundamentals of international law. All US administrations invoke “The International Community”, in whose interests they claim to act. Yet in this vicious and vindictive exercise of overweening power by one state against another (which is without parallel in modern history) the United States has persistently ignored the wishes of the overwhelming majority of member states of the United Nations. And the allies of the United States who vote to lift the blockade of Cuba, do nothing to take their disagreement with the superpower beyond the politics of pain-free gesture. Annually for the past 47 years US presidents have extended the Trading with the Enemy Act (TWEA) against Cuba. The TWEA dates back to 1917 when it was enacted by President Wilson on the eve of US entry into the First World War, in order to prohibit or regulate trade with a wartime adversary. It is the basis of all the sanctions against Cuba, a country with which the US has never been formally at war. In September of this year President Obama extended TWEA for another year. 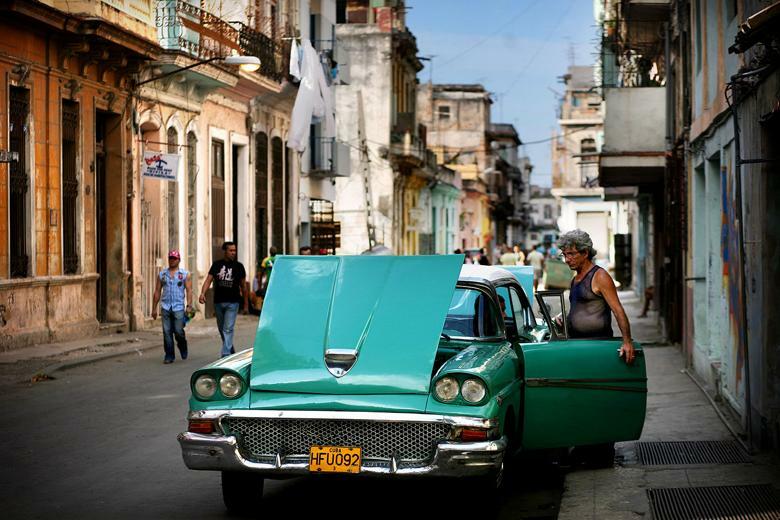 It is estimated by the Cuban government that over the past 55 years the economic sanctions, measured in current prices, have cost the country US$116.8 billion in lost trade. When the depreciation of the dollar against the price of gold is taken into account, the figure is US$1.11 trillion. 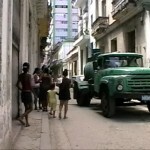 This reality reveals the purpose of the economic blockade- to cripple Cuba economically. Ronald D. Godard, US Senior Area Adviser for Western Hemisphere Affairs, opposing the Cuban draft resolution at the UN, stated bluntly that the Cuban economy would not thrive until the government “permits a free and fair labour market, freely empowers Cuban entrepreneurs….opens state monopolies to private competition and adopts the sound macro-economic policies that have contributed to the success of Cuba’s neighbours in Latin America”. This means that the economic blockade will not be lifted until Cuba abandons its efforts to build a socialist society and submits to the untrammelled operation of the neo-liberal “free market”. 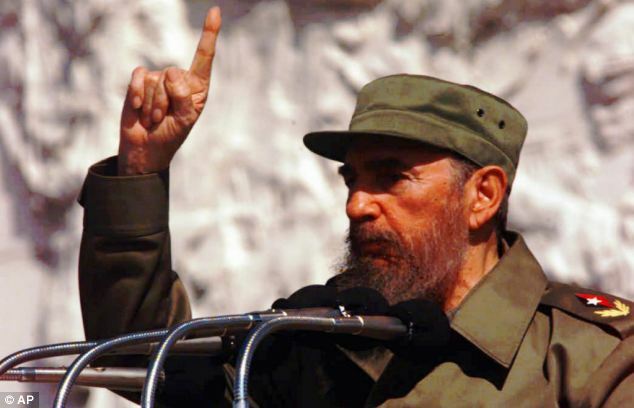 In referring to Cuba’s Latin American neighbours, he evidently did not have in mind countries such as Bolivia, Dominica, Ecuador, Nicaragua and Venezuela that have in recent years rejected that model. He must have been referring to those like Cuba’s close neighbours in Central America who have not: Guatemala and Honduras, the two countries suffering from the most extreme social inequality in the hemisphere. As far as the British media is concerned the same may be said of Cuba’s response to the Ebola epidemic in West Africa. Apart from an early report in the Observer , which echoed the New York Times, there has been almost no mention of Cuba’s involvement. It is difficult to believe that this is not deliberate. Either that or the equally damning conclusion that so deeply ingrained is the anti-Cuban bias in the consciousness of supposedly objective journalists that they do not consider the extraordinary contribution of this small Caribbean island in the face of a humanitarian crisis to be worthy of mention. “In the distorted account of the breakdown of US-Cuba relations it is suggested that Eisenhower’s administration broke off relations with Cuba as a consequence of Castro’s embracing Marxism-Leninism. This turns the truth on its head. 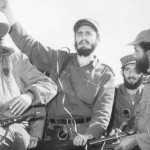 In 1960 Fidel’s ‘26th July Movement’ had no organizational links with the small Communist Party and the members of that movement, formed during the guerrilla war against the Batista dictatorship, explicitly denied that they were communists. 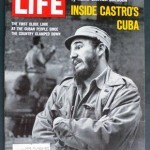 But Fidel was branded a communist on his first and only visit to Washington in 1959; a visit undertaken to win US aid. He was snubbed by Eisenhower and virtually ignored by Vice-President Nixon, who, when told about the planned agrarian reform concluded that Castro was ‘obviously a Red.’ Nixon, who a year earlier had warmly embraced the butcher Batista on a visit to Havana to boost US arms supplies to the embattled dictator, thus set the scene for his government’s future relations with Castro. “The land reform which was the most thorough and the most popular ever undertaken in Latin America, was denounced as ‘Communist.’ In the spring of 1960 the Cubans purchased cheap Soviet crude oil in the teeth of hostility from the Western oil companies. When the Western-owned refineries refused to refine the Soviet oil, Castro, with mass popular support for his actions, took over the refineries. 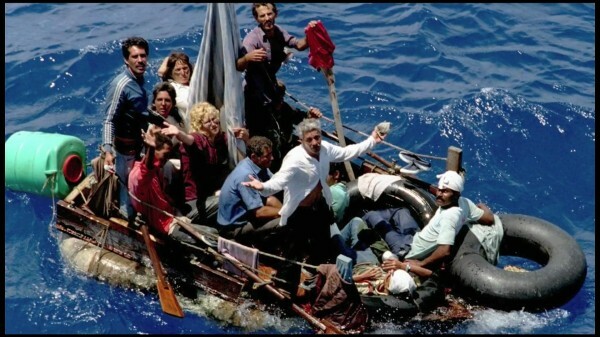 This was the decisive turning point which put Cuba on a collision course with the United States. The Eisenhower administration responded to this exercise of sovereignty by a small, poor country by cancelling the sugar quota, which meant that 70 percent of Cuba’s sugar production was left without a market. The intention was clear: to cripple Cuba economically in the shortest possible time and to bring down Castro. “I was in Cuba shortly after this episode. The tension was palpable. Khrushchev…agreed to buy the sugar that the US had refused to take. The USSR became very popular overnight, but still, for the majority of Cubans, this didn’t mean that they had chosen Communism, or that they considered that it was being imposed upon them. A popular expression of sentiment in Cuba at the time was ‘Sin Cuota; Sin Amo’ (without quota; without bosses). At the time US newspapers were still available in Havana. I recall in Early August of 1960 reading the most crude distortions of what was happening in Cuba. 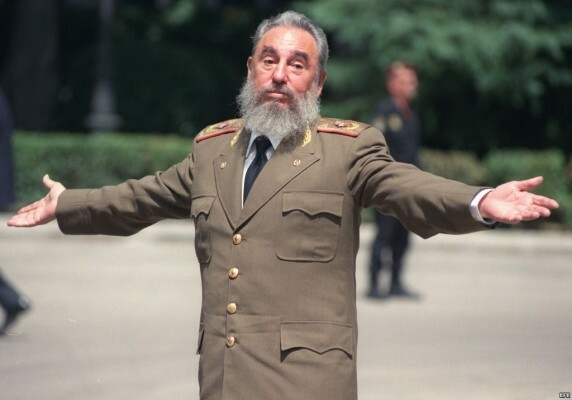 Most of the US press was claiming that Castro was clamping a Communist dictatorship upon an unwilling, oppressed people. “In late August the United States tightened the screws further. At a conference of the Organization of American States in Costa Rica, the State Department, through its manipulation of many Latin American delegations, secured Cuba’s expulsion from the OAS and demanded in the so-called ‘Declaration of San Jose’ that Castro open his country to an OAS inspection. The Cubans, aware of the debacle that had just occurred in the newly independent Congo, supposedly under the auspices of the U.N., had no intention of complying. The beauty of Cuban women is legendary. Under Batista, the island had become a gangsters’ fiefdom, filled with illegal gaming, prostitution and other vices Americans could not so easily (and cheaply) obtain at home. Cuba had simply become the whorehouse of the caribbean. Fidel wiped out the gangster problem, and prostitution out of necessity. Women today work in any and all areas that used to be a male prerogative, including medicine, engineering, and the military, as well as science, education, and, naturally, the tourism and hotel industries, vital to obtain foreign currency. “While working [as members of the first ever international work brigade to visit Cuba] with picks and shovels in the Sierra Maestra [on the construction of the first residential school in that remote area] we read reports in the New York herald Tribune of a State Department document presented to the Cost Rica conference claiming that our work brigade was in fact a Soviet trained international communist guerrilla force, smuggled into Cuba to reinforce the supposedly demoralized Castro militia and help to spread red revolution throughout the hemisphere. It was, the statement claimed, a common Soviet ruse to disguise such contingents as ‘work brigades’. This was the kind of ‘evidence’ the State Department invented in order to swing their Latin American client states into line against Cuba. 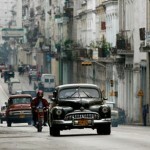 “On September 2 the Cuban government answered the accusations emanating from the State Department via the OAS meeting. Fidel spoke at a rally in Havana attended by 1 million people who enthusiastically packed the Plaza Civica [now the Plaza de la Revolution]. From that historic meeting came the first ‘Declaration of Havana’ which was essentially a declaration of independence and an assertion of the right to formulate a foreign policy without pressure or interference from the United States or anyone else. Each clause of the declaration was submitted for the approval of the ‘assembly of the Cuban people.’ In this fashion Cuba’s foreign policy alignment changed overnight. I remember listening to that address, relayed from Havana, in a Cuban army barrack near the top of the highest mountain in the Sierra Maestra. The proceedings went on until the early hours of the morning, depriving us of much needed sleep. “Our work schedule at the Camilo Cienfuegos site was frequently interrupted whether by invitations to this or that celebration or by visits from this or that delegation. 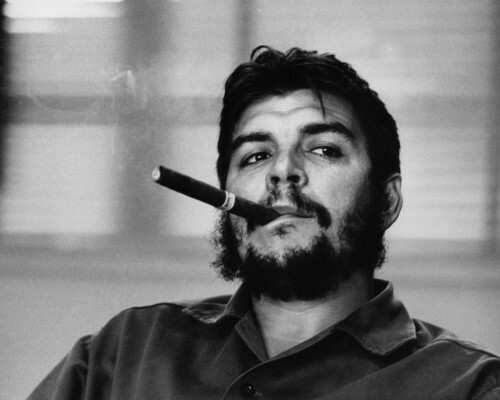 The most memorable of these events was a visit by Che Guevara, who was at that time Minister of Industry. Representatives of a dozen or more countries packed into a fairly small building to listen to him and to ask questions. My impression was that he differed from all the other political leaders I had listened to in Cuba (and by that time I had heard many) in his less volatile delivery, and the cool, completely undemagogic way he dealt with questions. I did not know then that he was an Argentinian and not a Cuban, though whether this in any way accounted for his style, I have no idea. 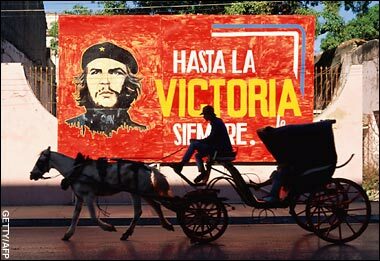 “We met hundreds of young people, mainly women, from Santiago, Havana and elsewhere, enrolled as ‘agrarian instructors’ in the first stage of the alfabetización campaign, which resulted a few years later in the virtual elimination of illiteracy in Cuba – many years short of the time the UN predicted it would take. It was almost inconceivable that anyone but the most bone-headed reactionary bigot could have failed to be impressed and deeply moved by the Cuban revolution in those early years. But few of its achievements were reported in the western world. “Successive US administrations, Republican and Democratic, have treated Cuba’s attempts to break free from US tutelage and build a socialist society as a criminal offense to be punished with the utmost severity. 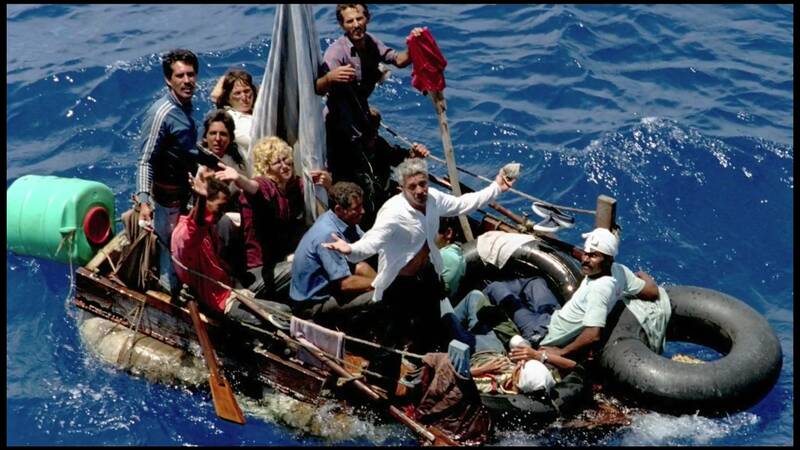 The catalogue of real offenses perpetrated against Cuba is endless. Distortions of fact, lies and chicanery have been the commonplace accompaniments of the thirty-five year old vendetta against Castro and his country. In 1961 the Bay of Pigs invasion organized by the CIA was preceded by a clumsy provocation involving the mendacious claim that the Cuban air force had rebelled; CIA terrorism and sabotage against Cuba was routine in the 1960s and the numerous well-documented attempts to assassinate Castro sit uneasily with the US public opposition to terrorism; the so-called missile crisis of 1962 seems to have had its immediate origin in a secret planned invasion of the island that became known to the Cubans; the retention to the present day of the provocative base on Cuban soil at Guantanamo is in blatant violation of Cuban sovereignty and against the expressed demand of the Cuban government for its removal. But worst of all perhaps is the 34 year old blockade of the country, which, until 1990 guaranteed Cuba’s heavy dependence on the Soviet bloc. “The US treatment of Cuba doesn’t differ in any essentials from its treatment of other cases of radical nationalism in the hemisphere. Guatemala in 1954, the Dominican Republic in 1963, El Salvador and Nicaragua, Chile and Grenada – all examples of what happens when attempts are made to overthrow oppressive puppet regimes. Radical reforming governments or movements in these countries have, like Cuba, been subjected to political and economic destabilization, murderous terrorism by US armed and trained death squads, sabotage, embargo, blockades, US backed military coup and outright invasion. In each case the pretense has been to ‘restore democracy”. That was written nearly twenty years ago. Much has changed since then. But if the prospects of real, radical change in the Latin America now seem brighter than they were then, it is no thanks to any change of heart on the part of the United States. Changes in the balance of class forces in countries such as Venezuela, Bolivia, Uruguay and Ecuador and less radical, but nonetheless encouraging signs of resistance on the part of countries such as Brazil and Argentina encourage the hope that the tide is turning and that the challenge to the neo-liberal model imposed on so many countries will permanently weaken the economic hegemony of US imperialism in the hemisphere. And, for all the difficulties it still faces, Cuba is no longer alone. Its example has been an important factor in stimulating the determination of millions to fight for the better world which is possible. Viva Cuba! Originally published at The Greanville Post. 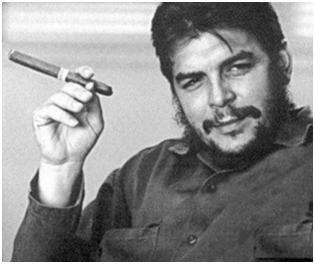 Posted in COUNTERPROPAGANDA & TRUTH, Cuba, FOREIGN CORRESPONDENT, GUEST AUTHOR, IMPERIALISM.